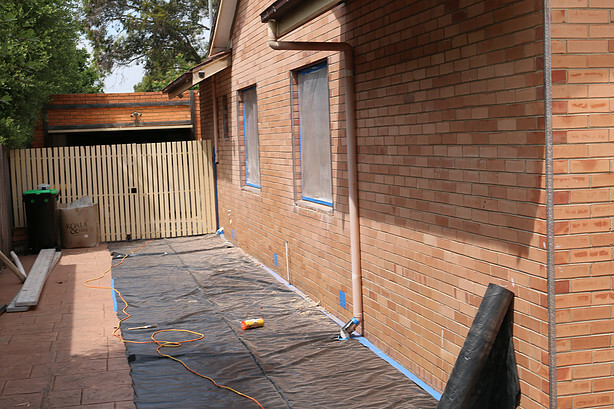 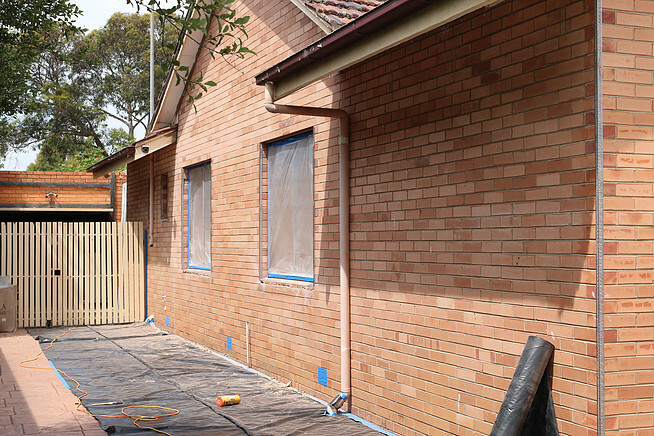 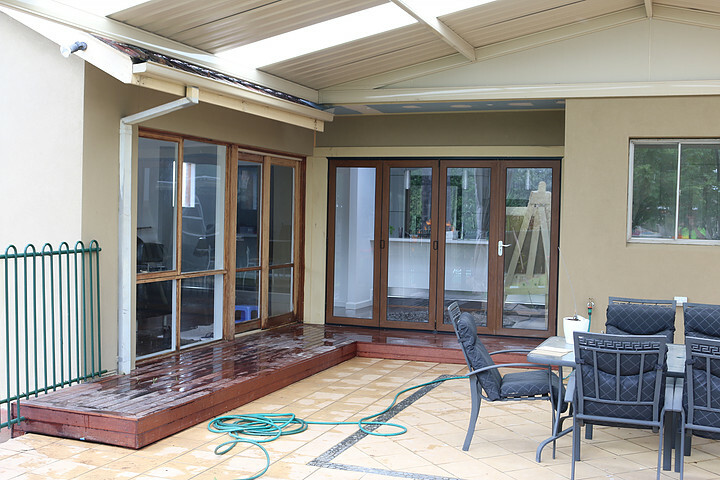 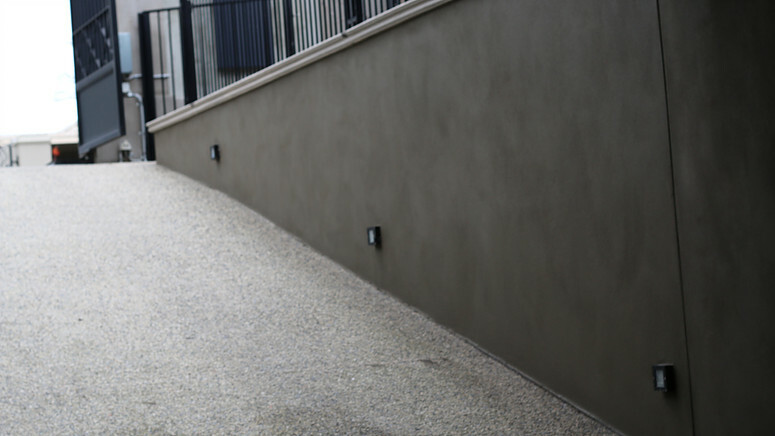 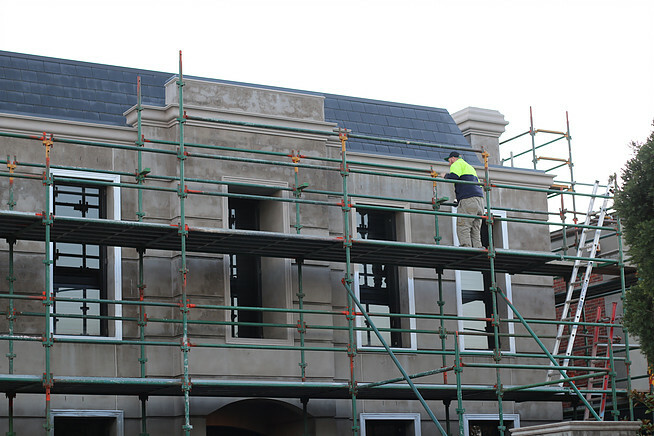 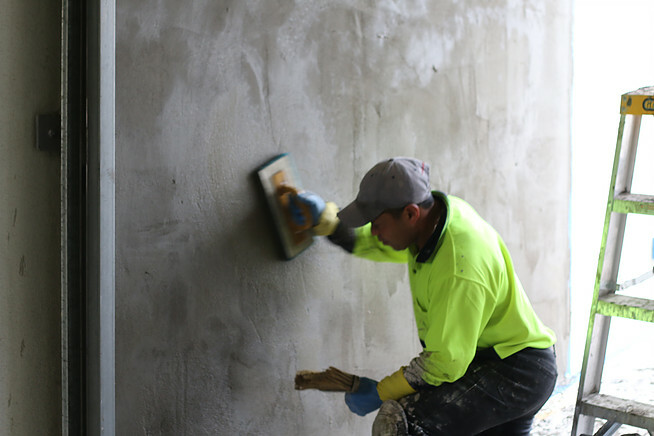 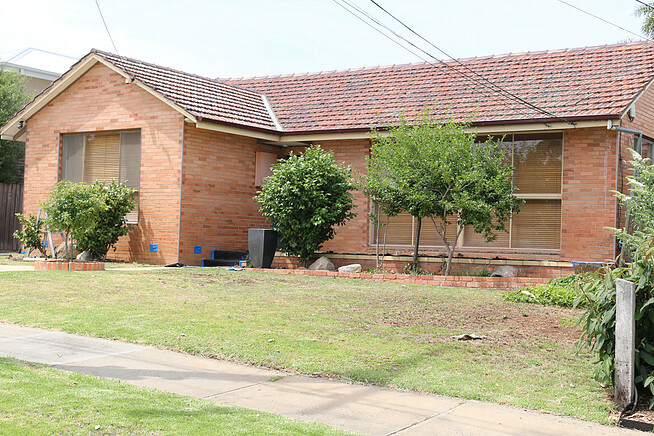 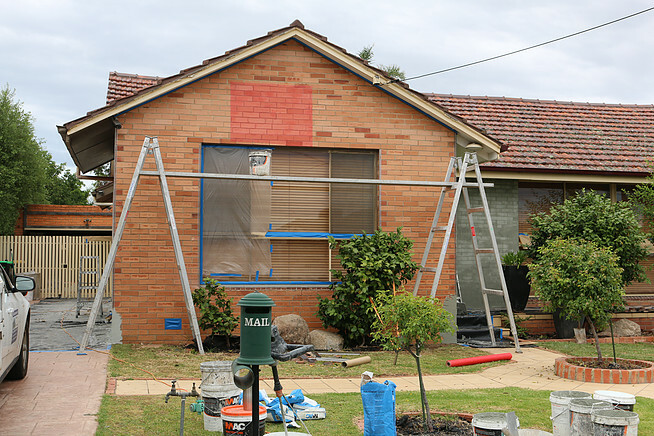 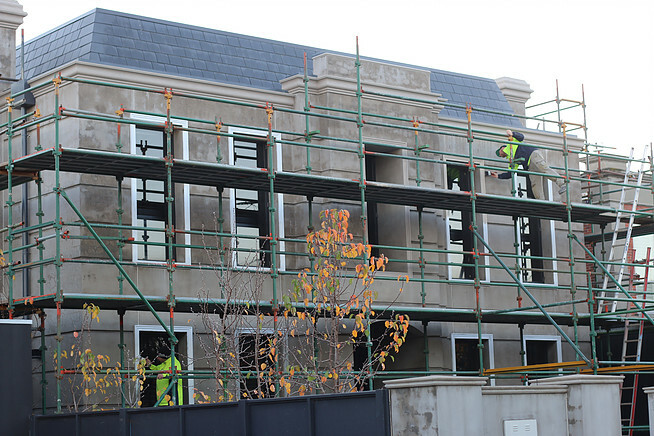 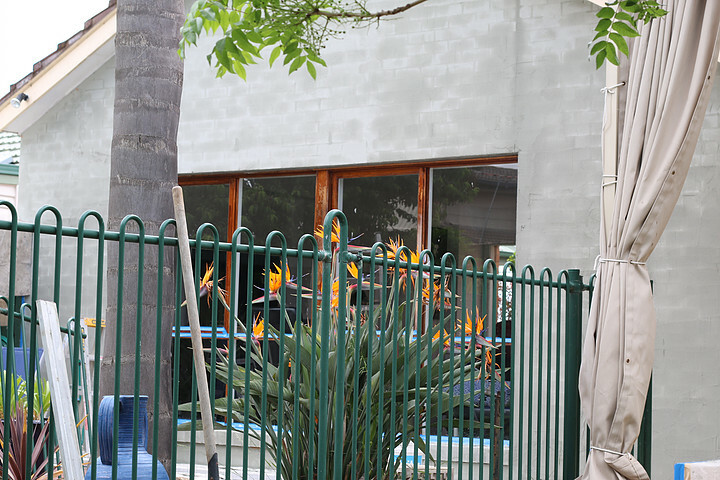 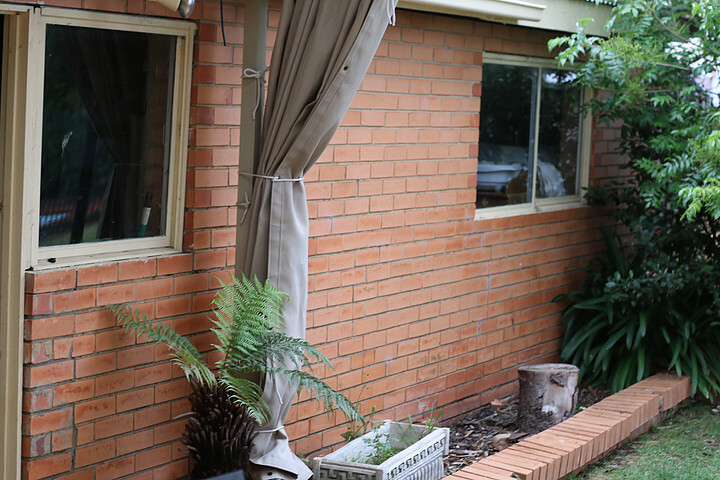 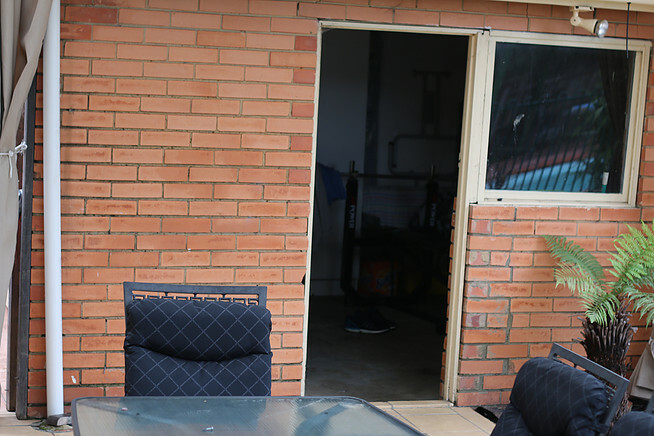 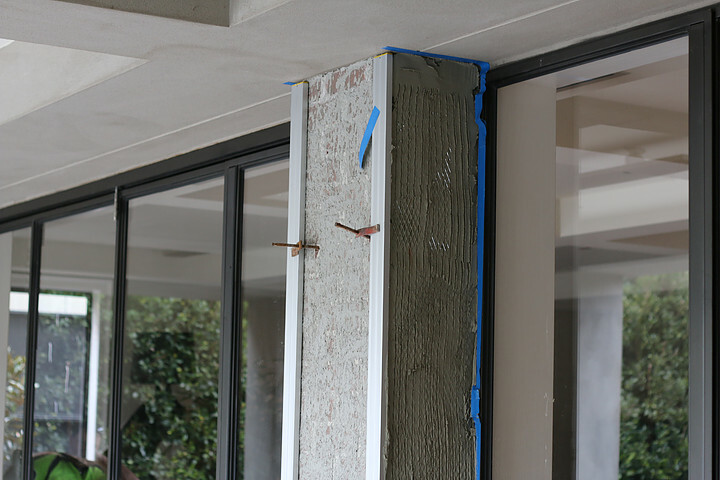 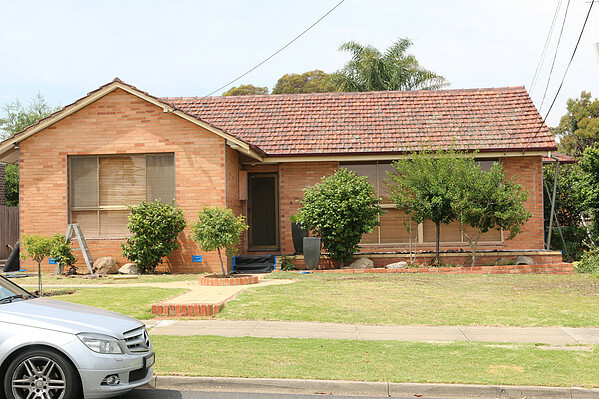 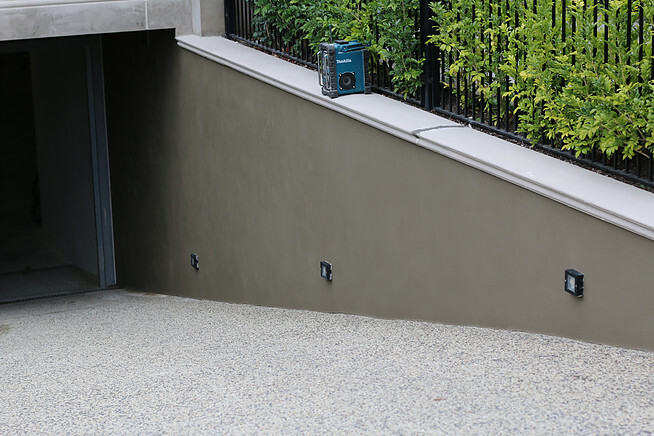 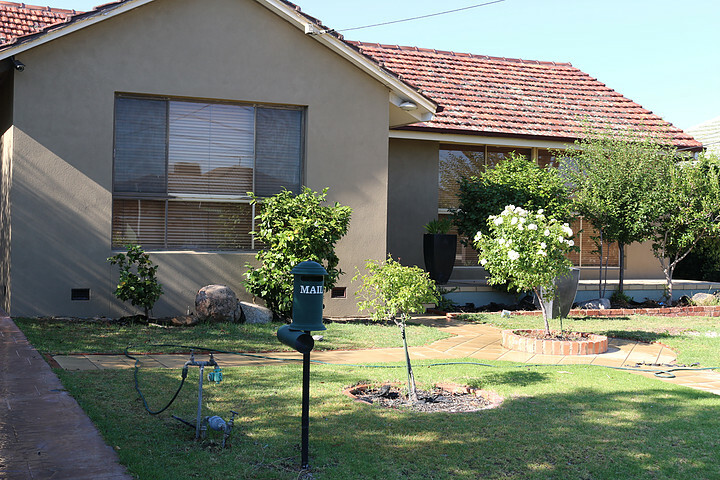 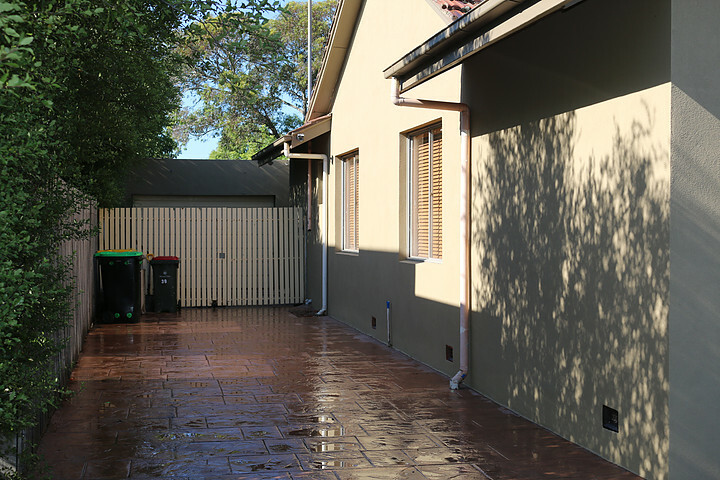 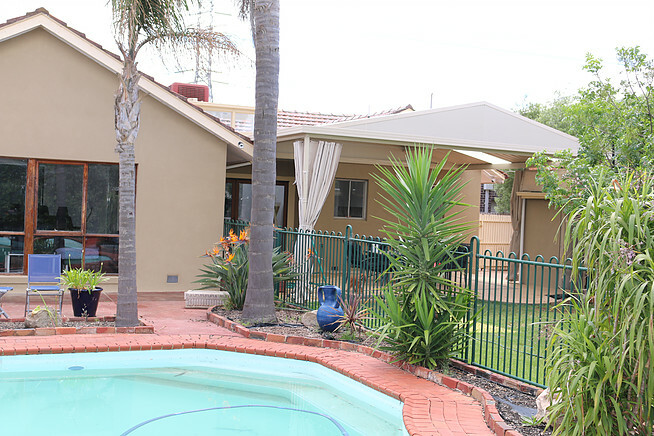 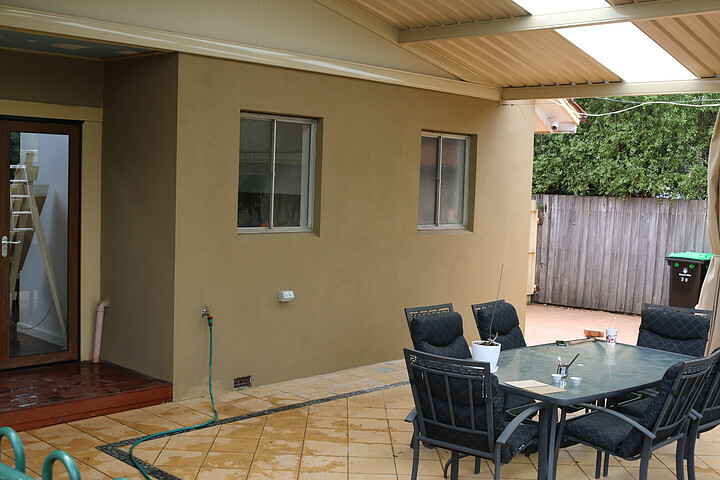 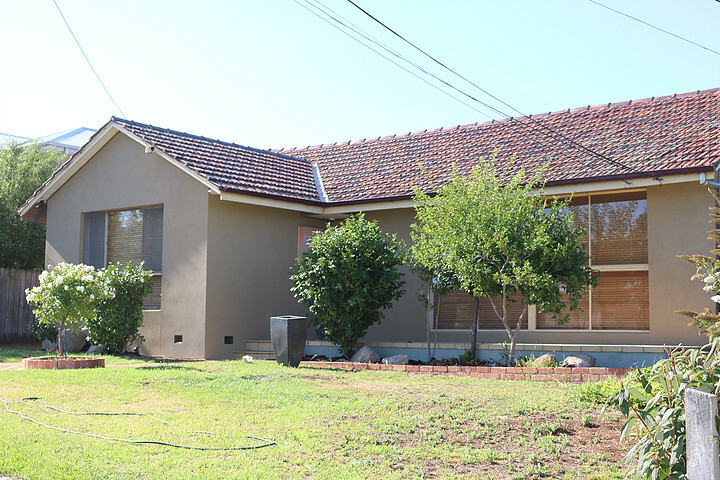 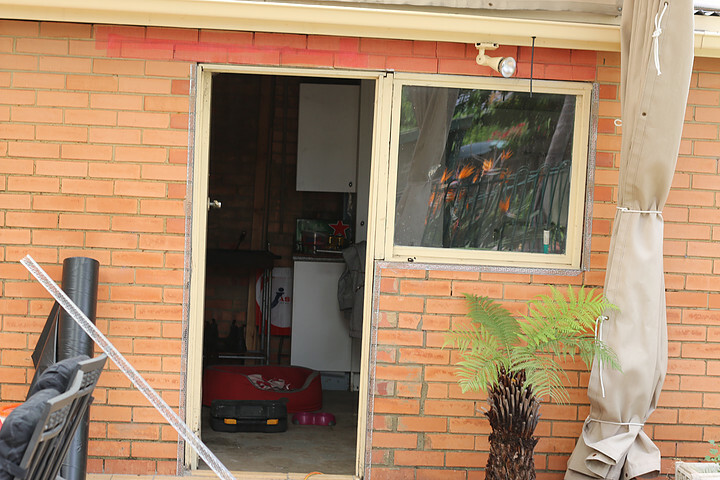 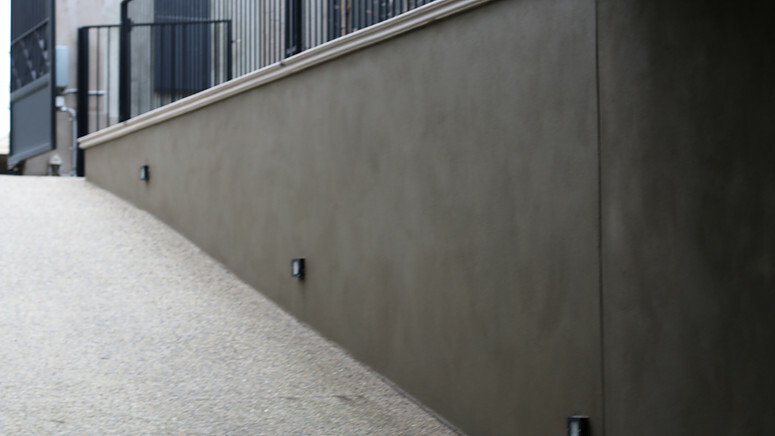 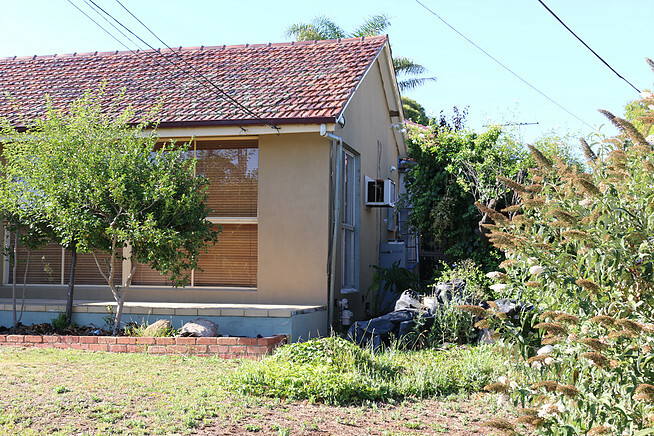 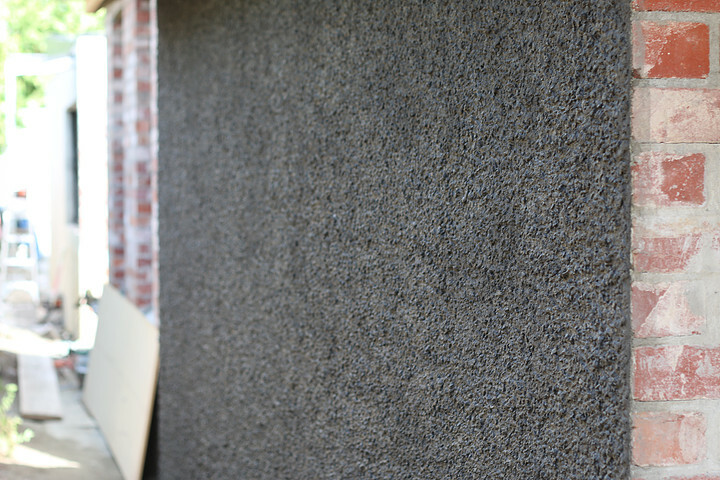 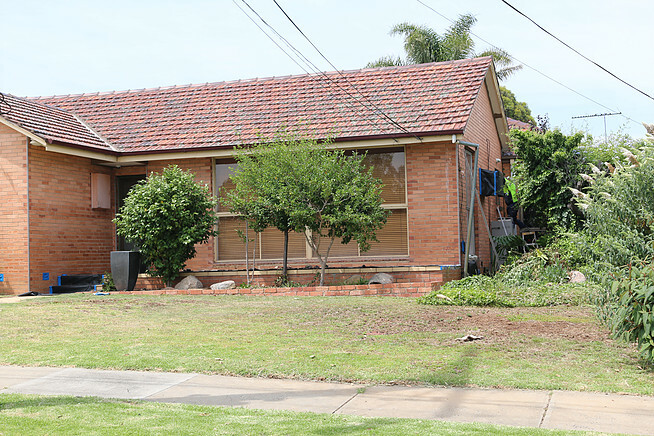 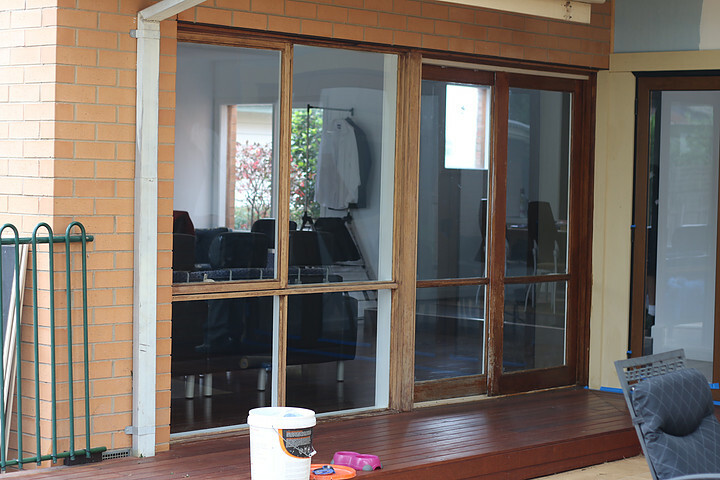 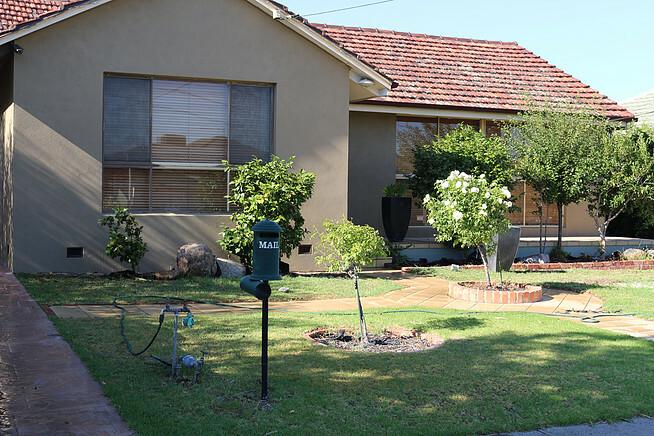 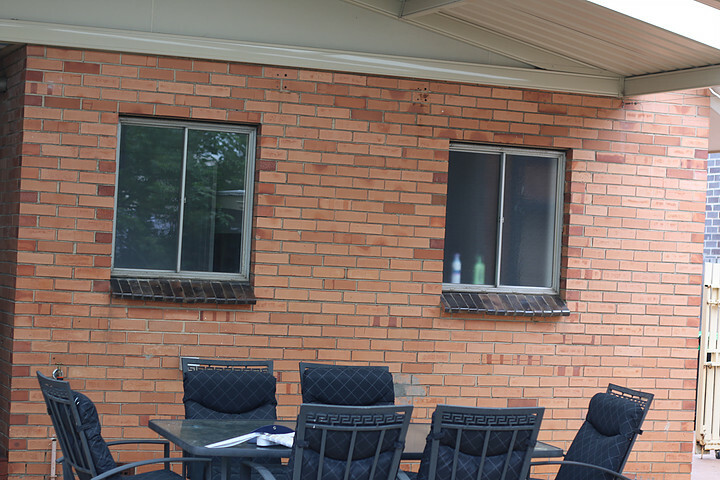 Prior to commencing all areas like pavers are covered and windows masked to prevent any render from going onto these surfaces which are difficult to clean afterwoods if this is not done. 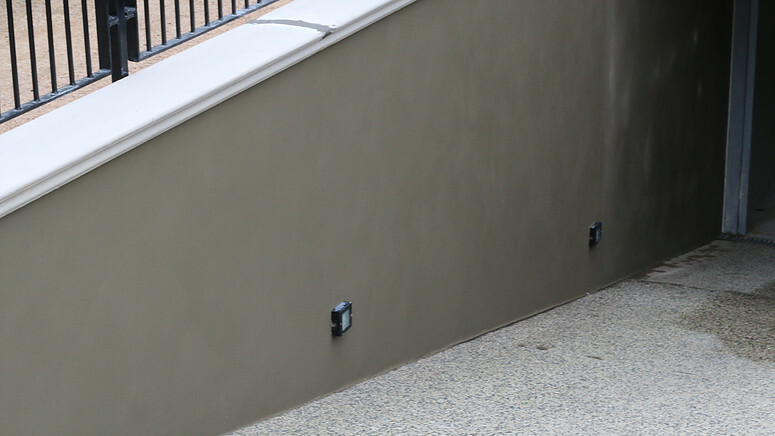 Stainless steel external angles applied to all corners and edges, mesh applied to all joins to help prevent cracking. 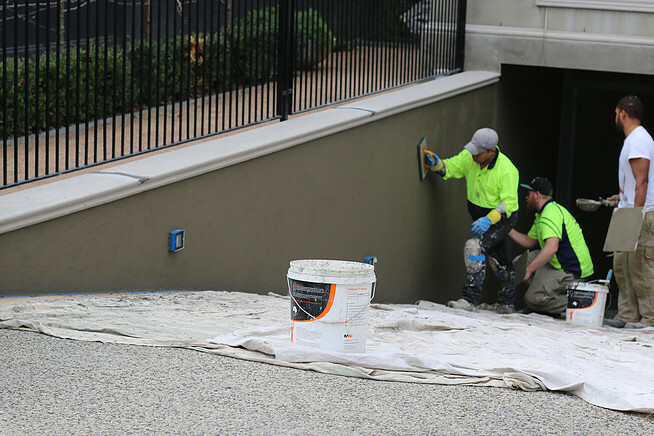 Application is commenced with the first coat of high strengh flexi patch, this again helps to prevent cracks for any movement. 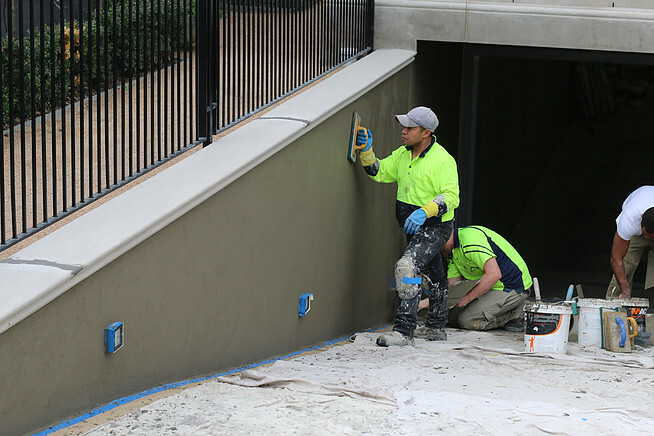 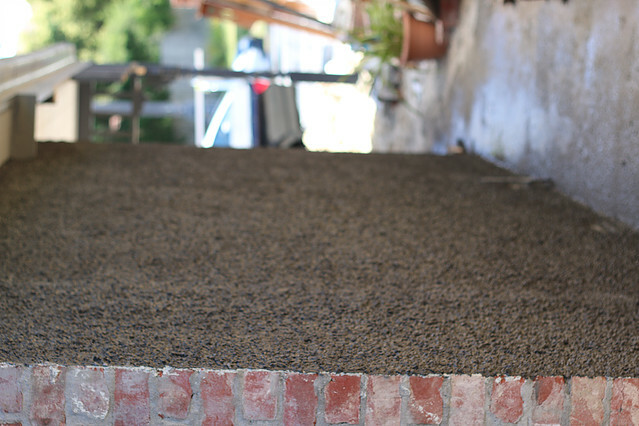 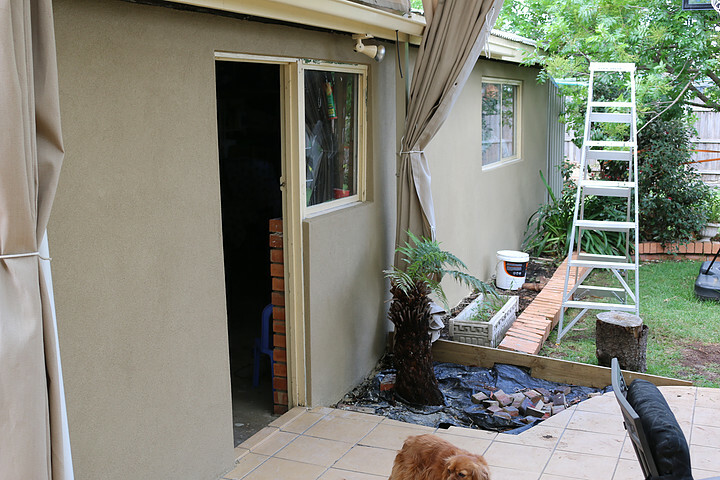 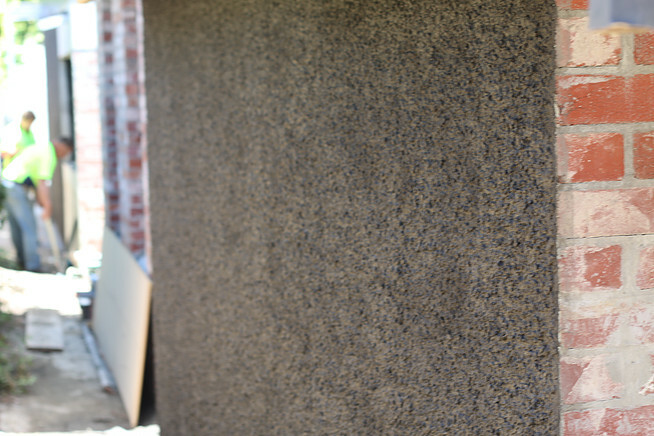 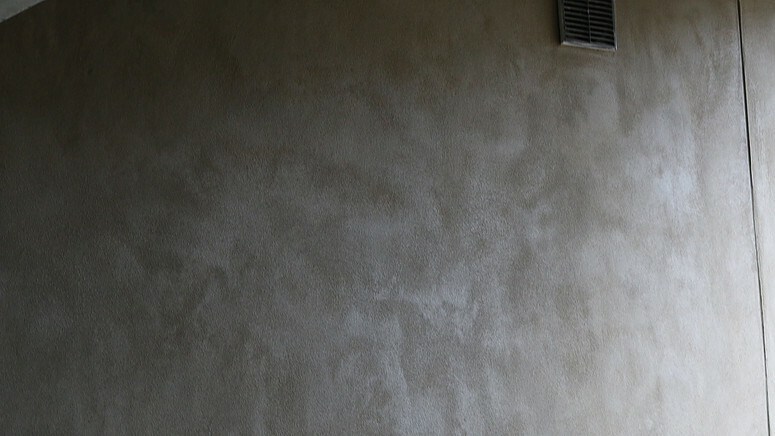 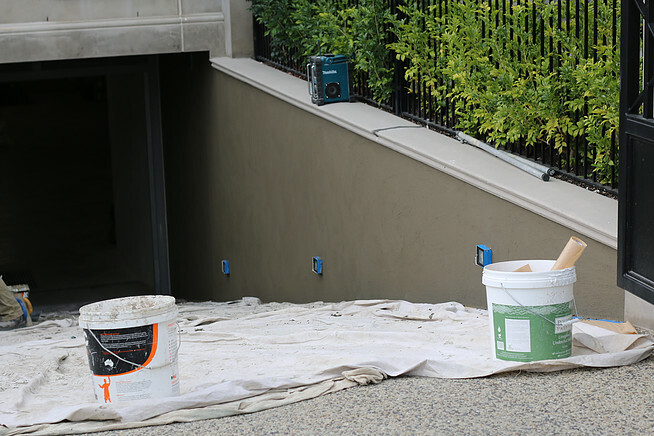 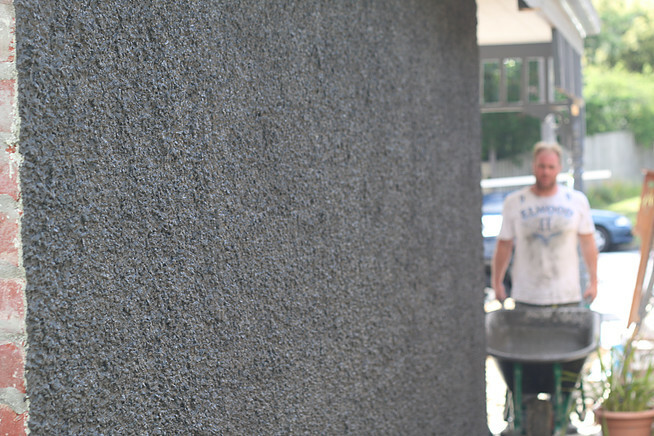 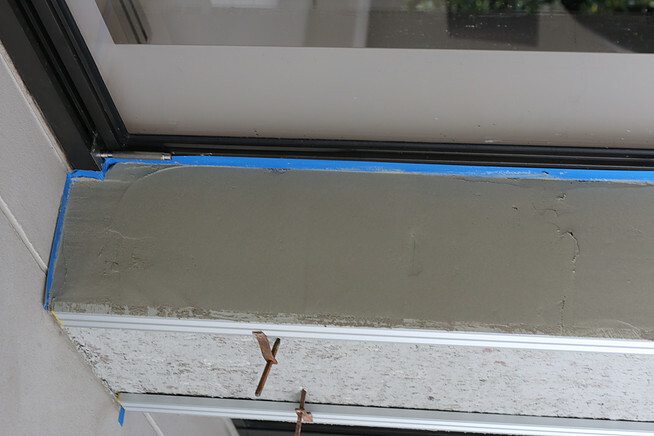 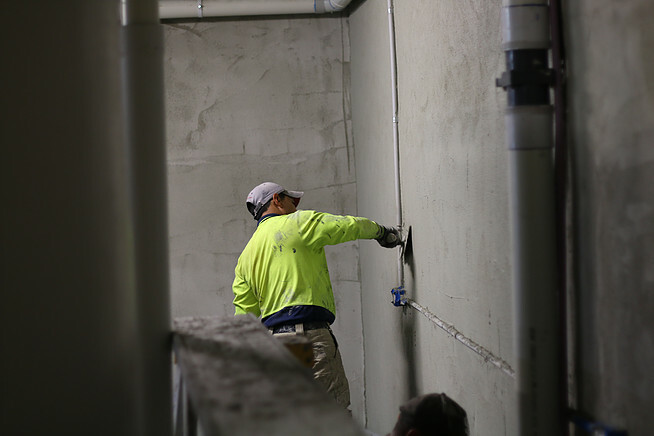 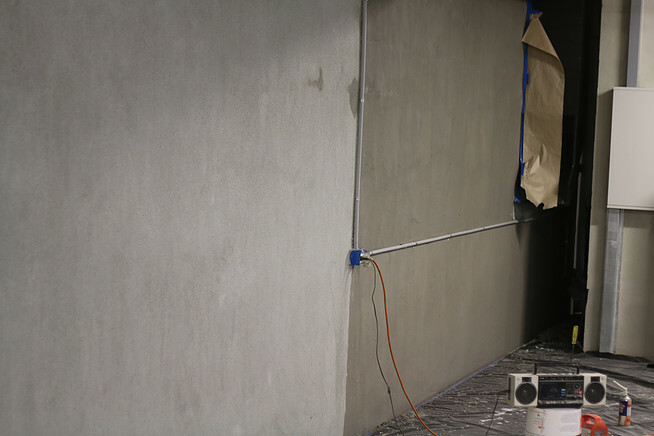 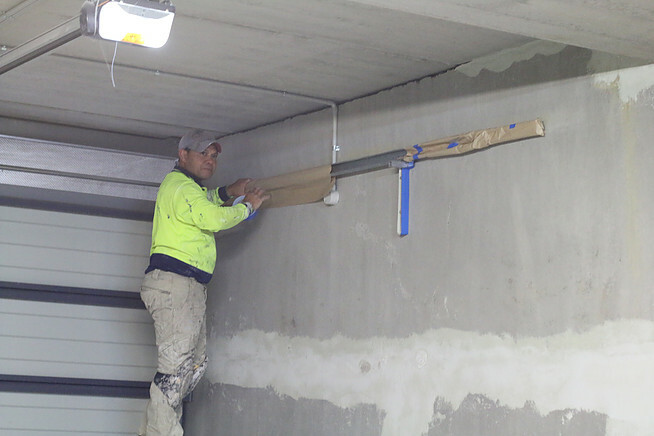 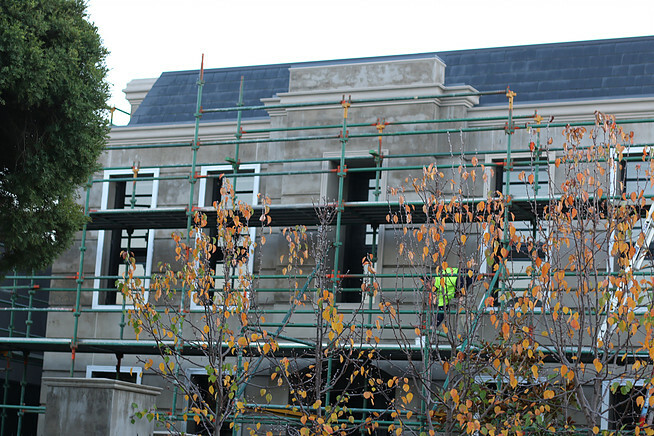 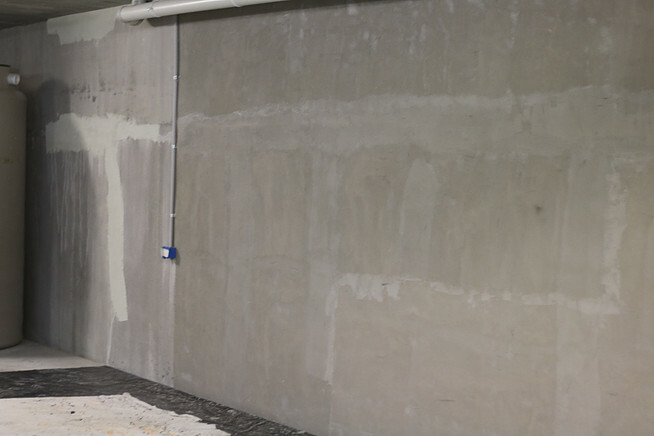 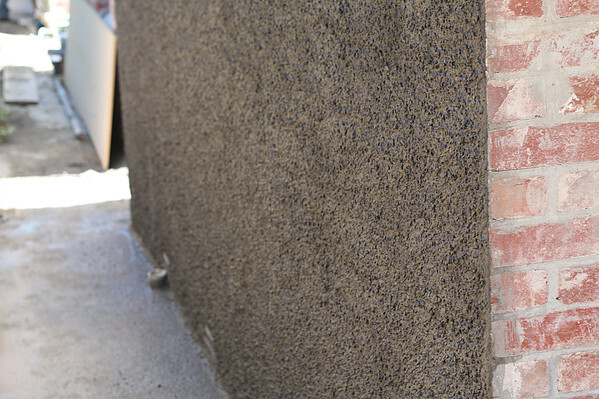 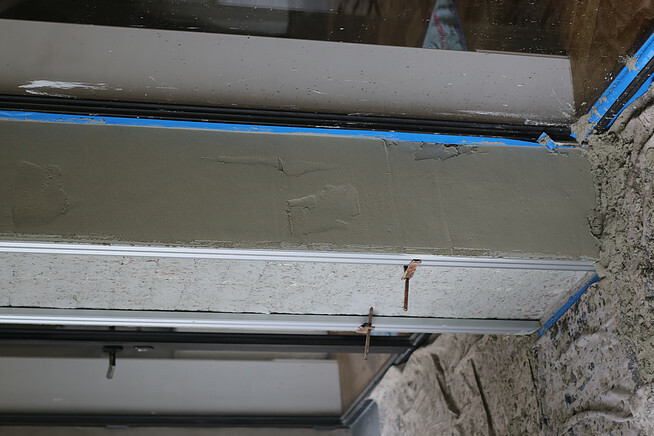 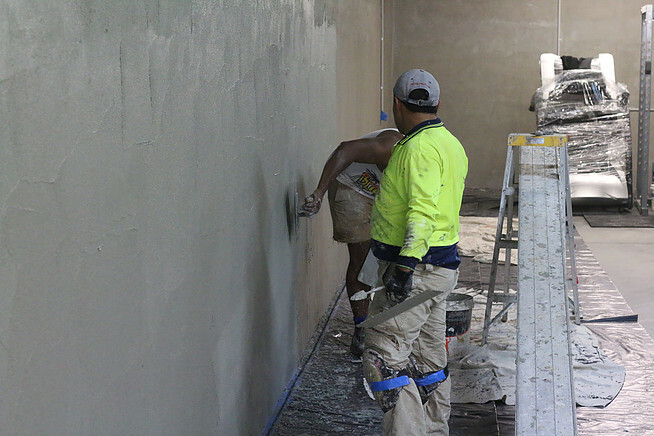 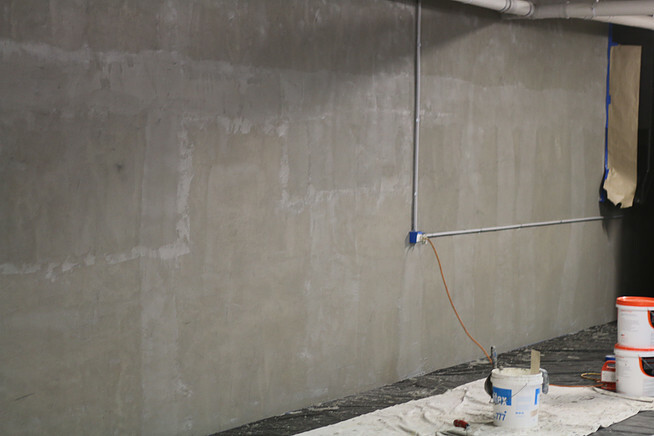 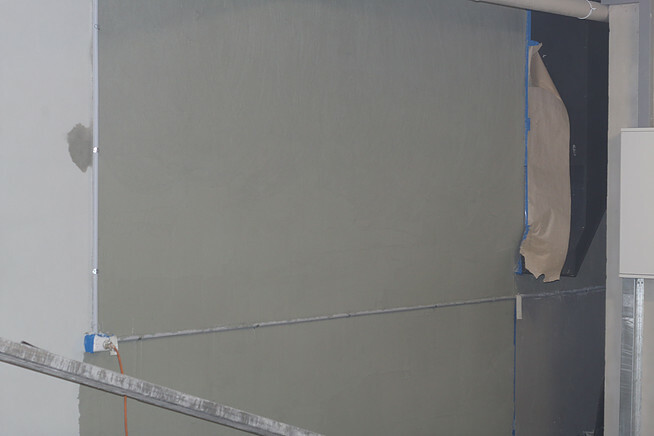 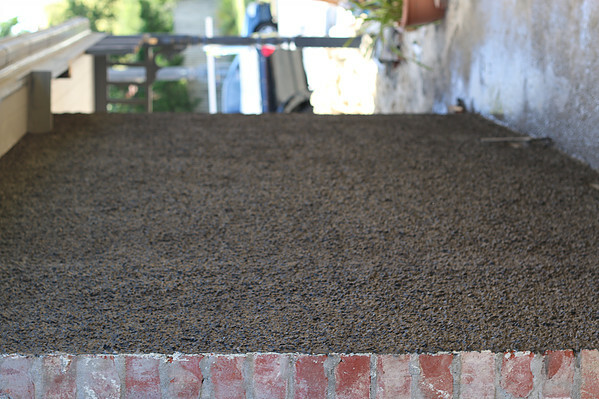 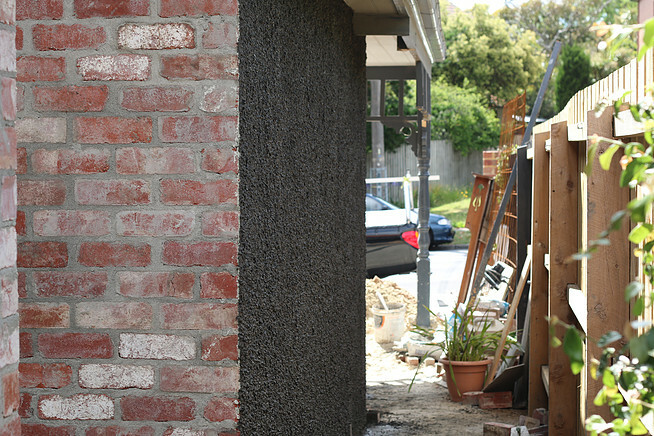 Second coat of acrylic render is applied to straighten walls for final coat of texture. 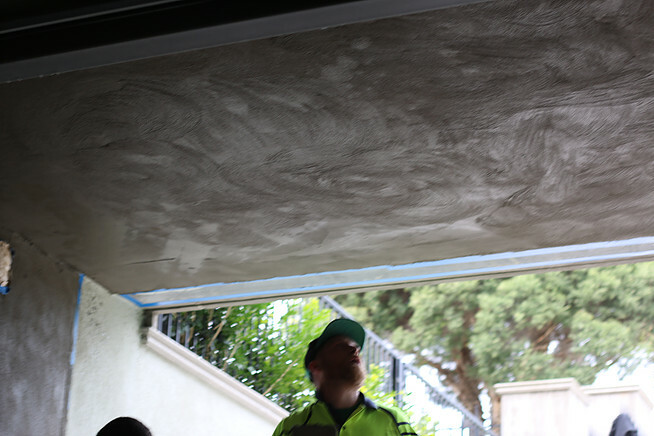 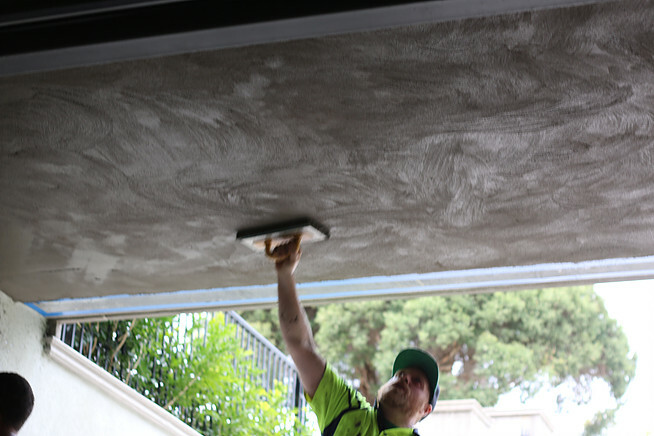 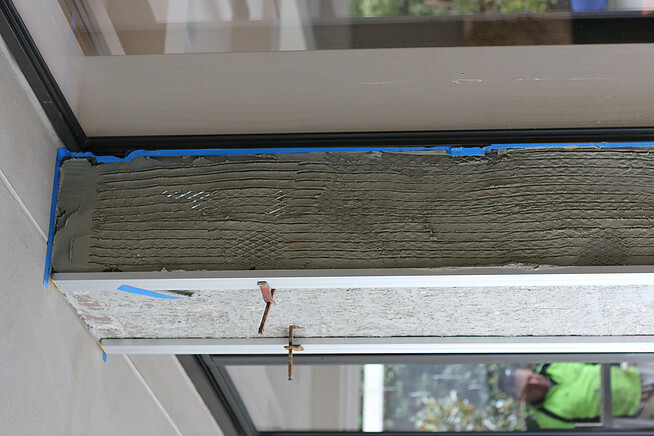 A primer coat is applied before the final coat of texture. 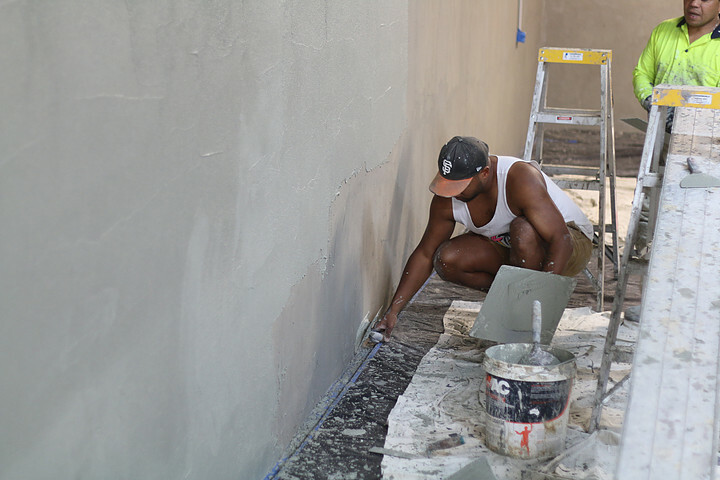 Why is a primer applied? 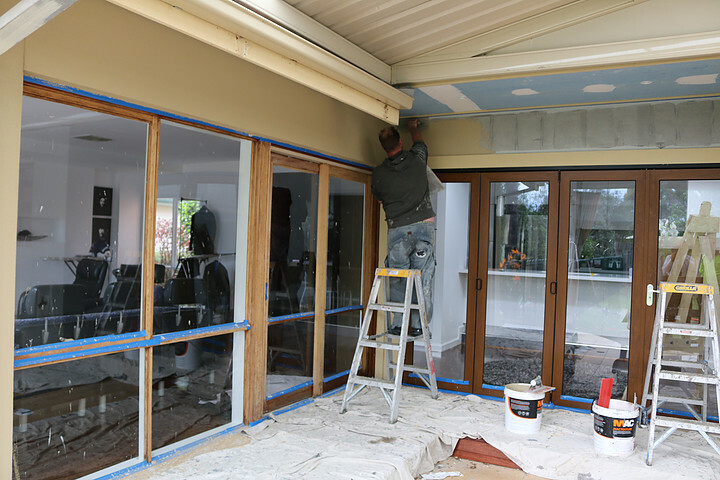 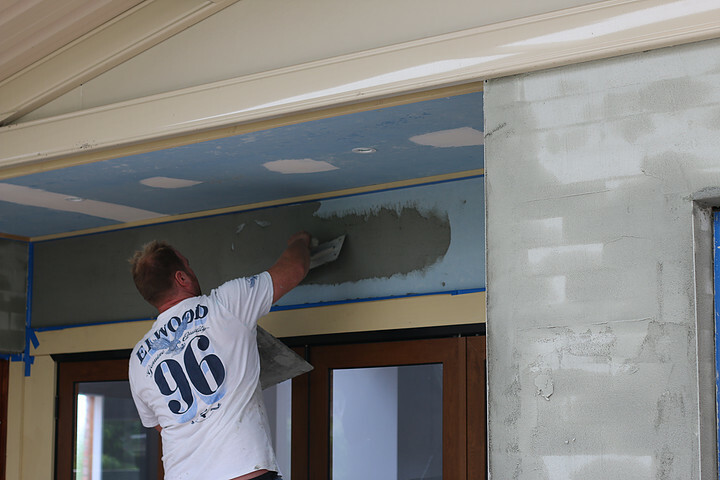 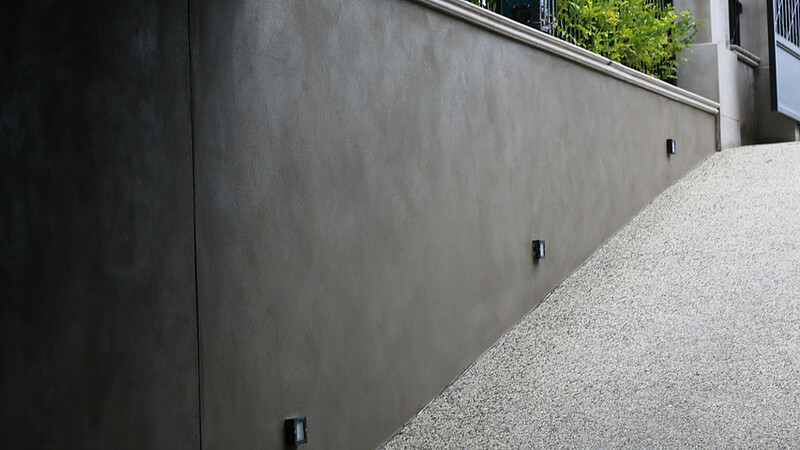 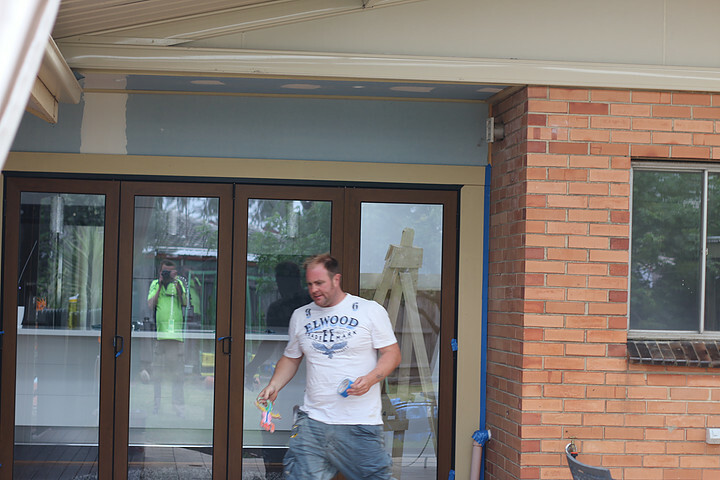 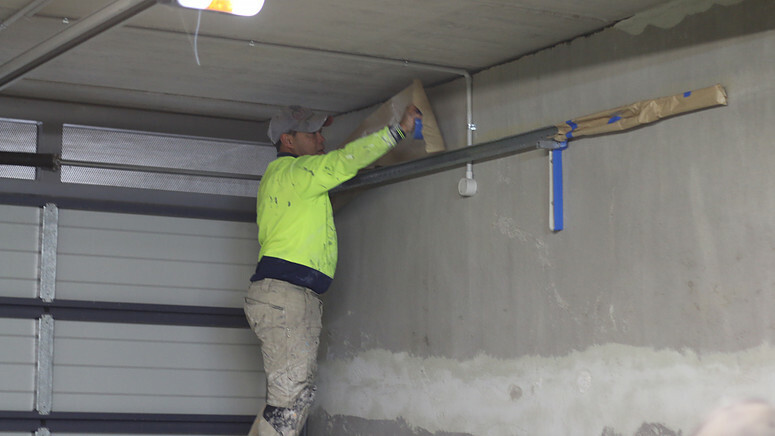 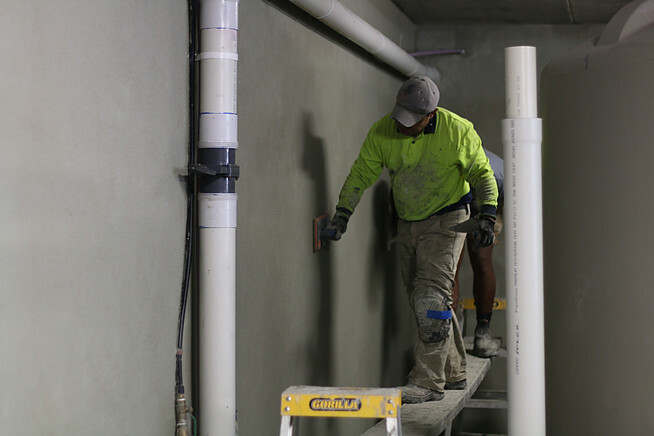 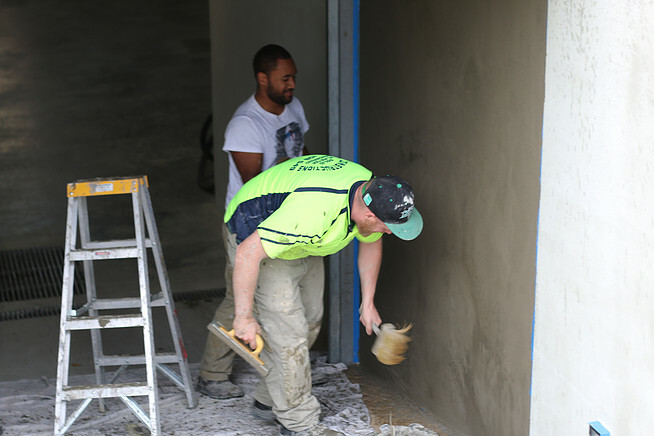 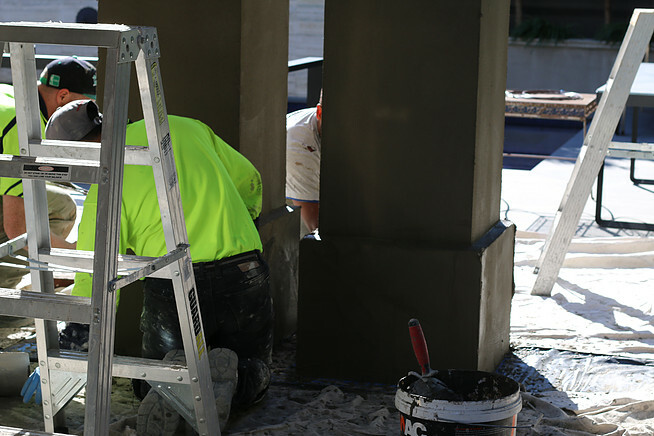 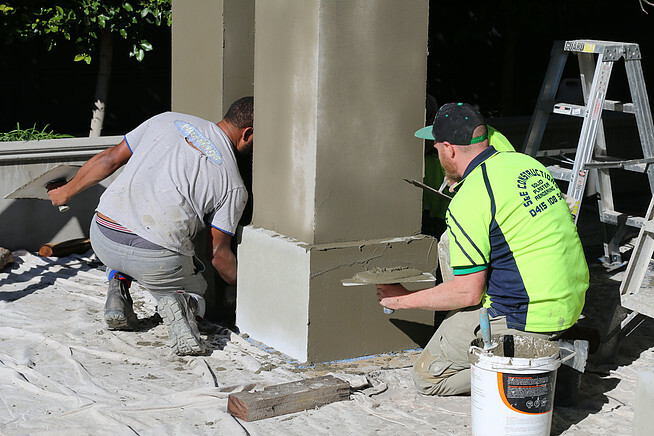 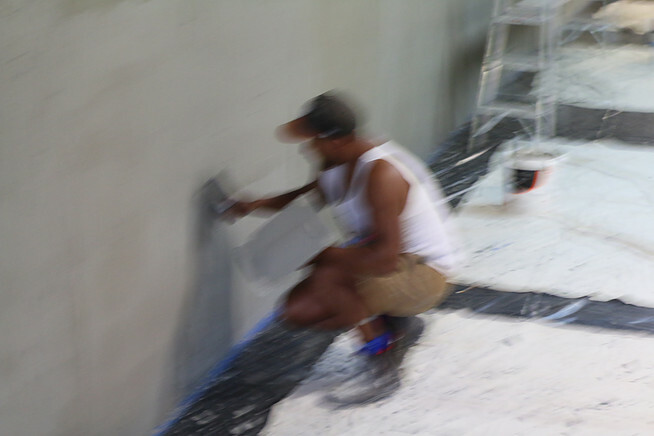 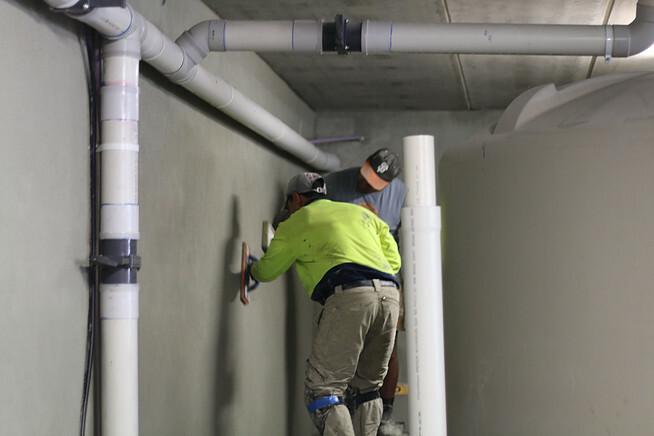 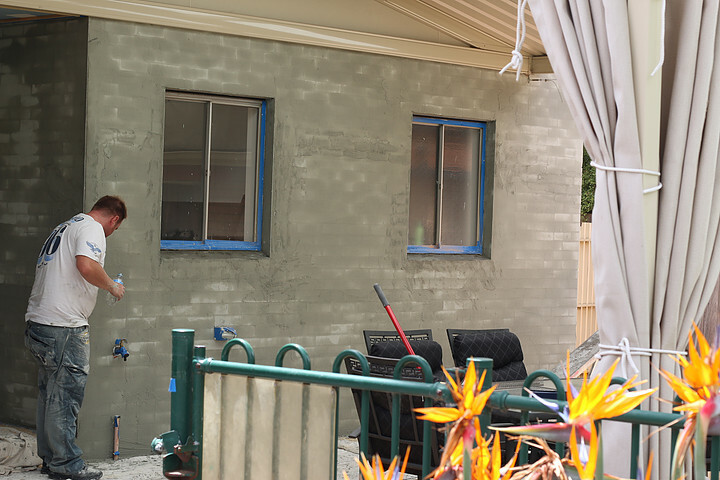 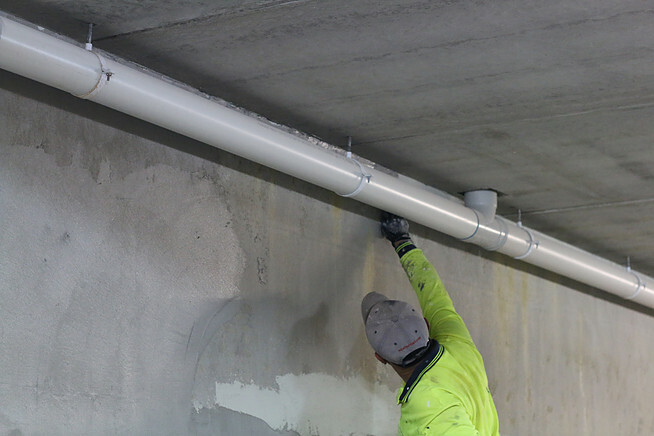 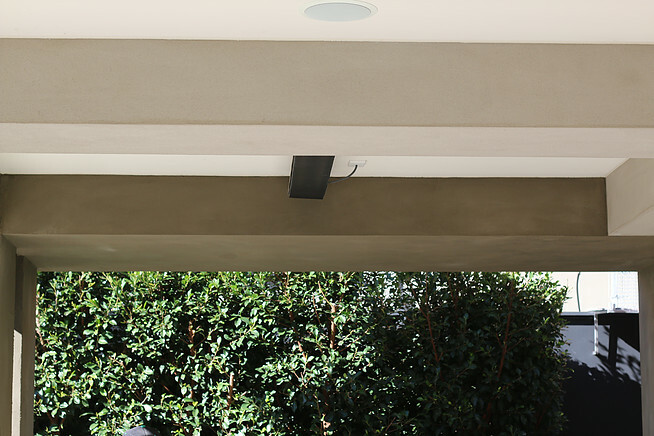 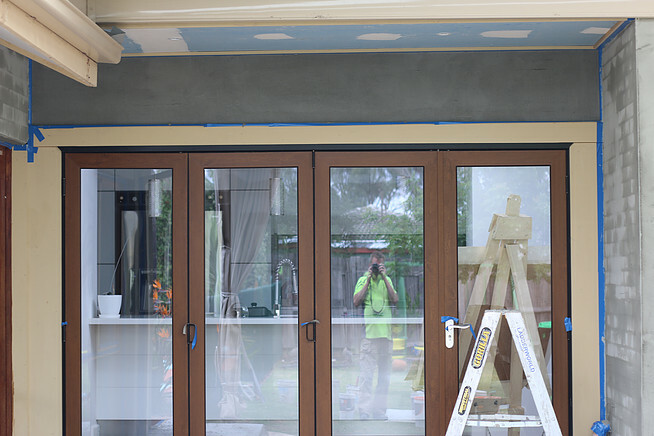 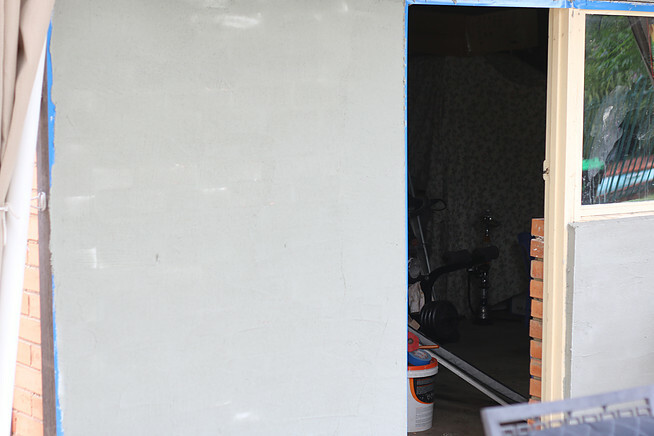 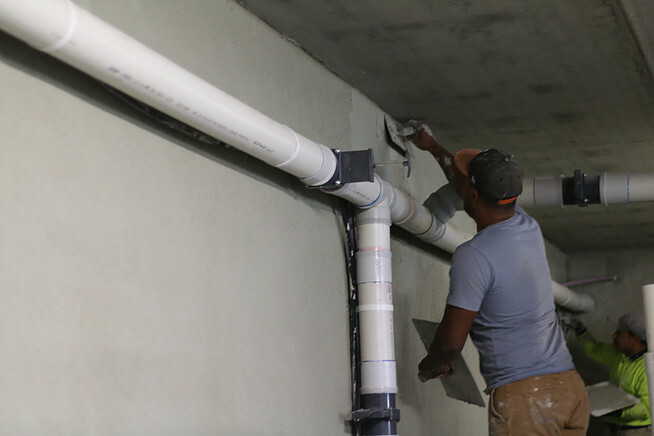 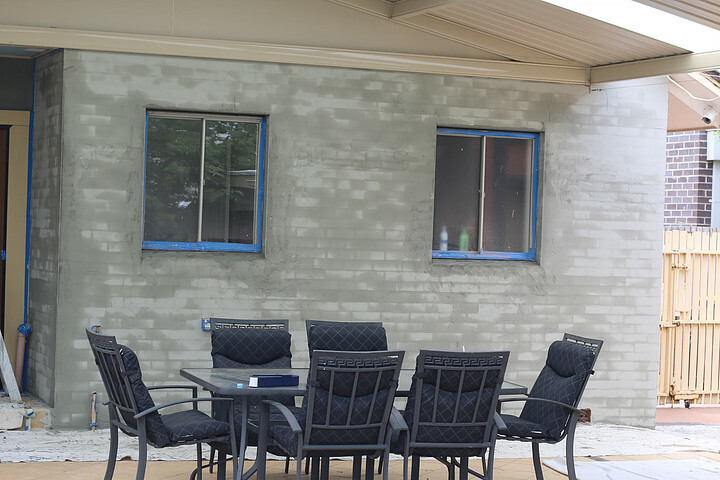 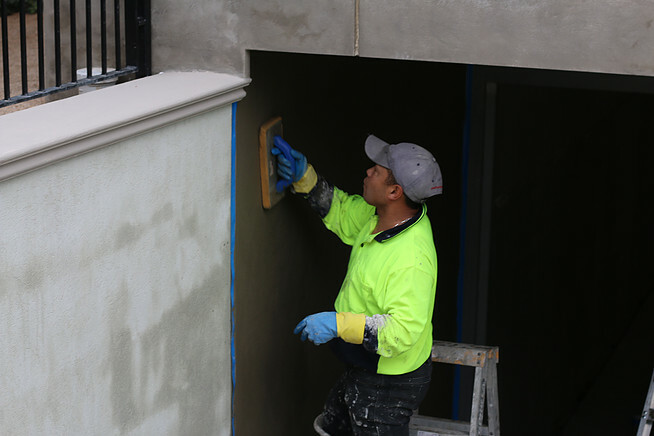 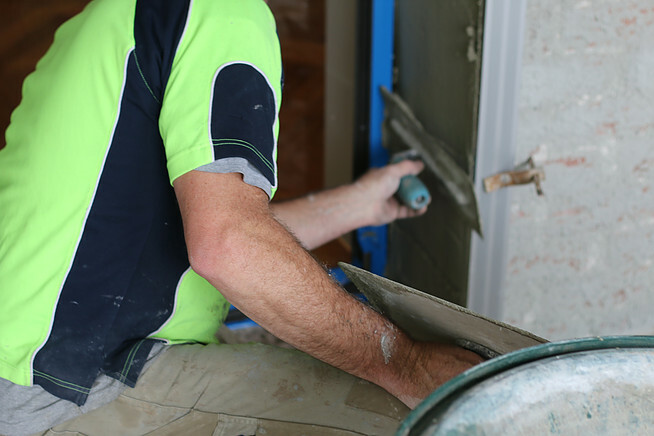 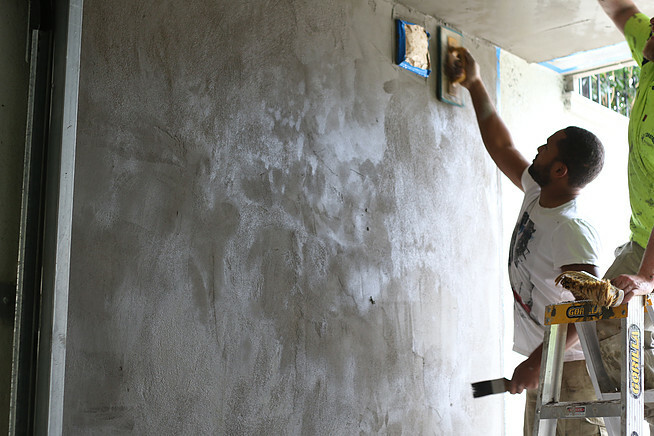 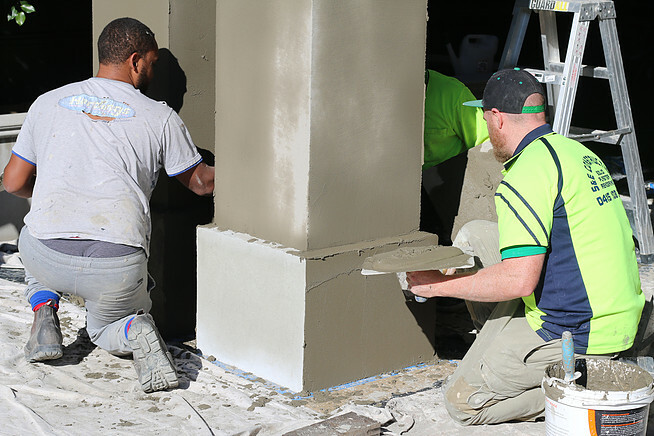 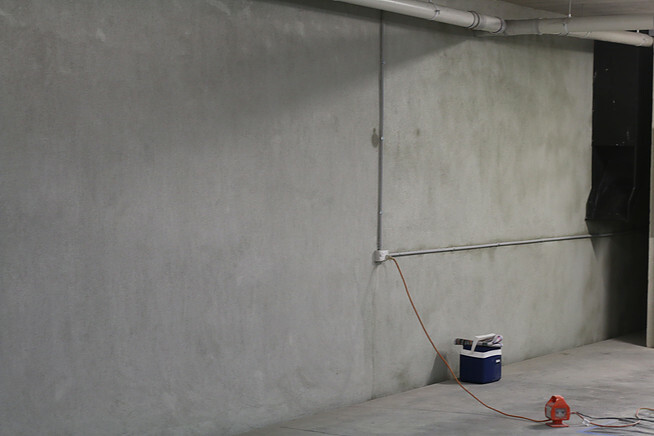 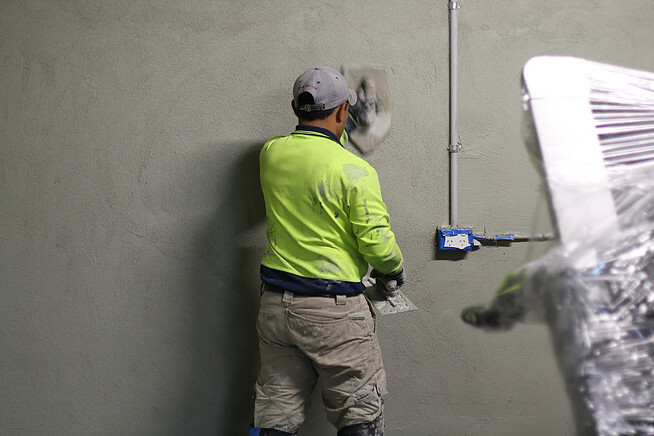 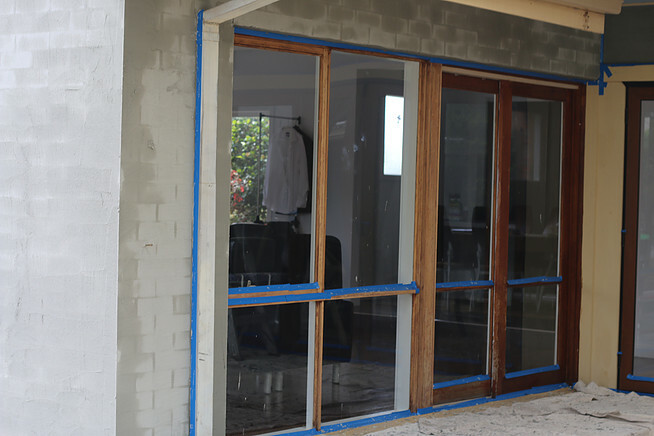 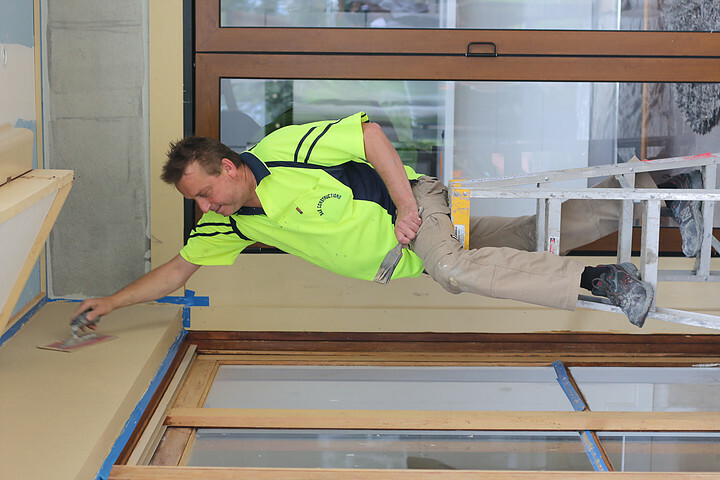 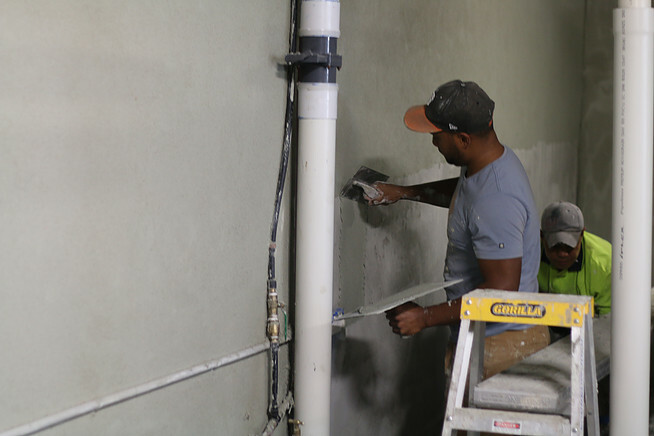 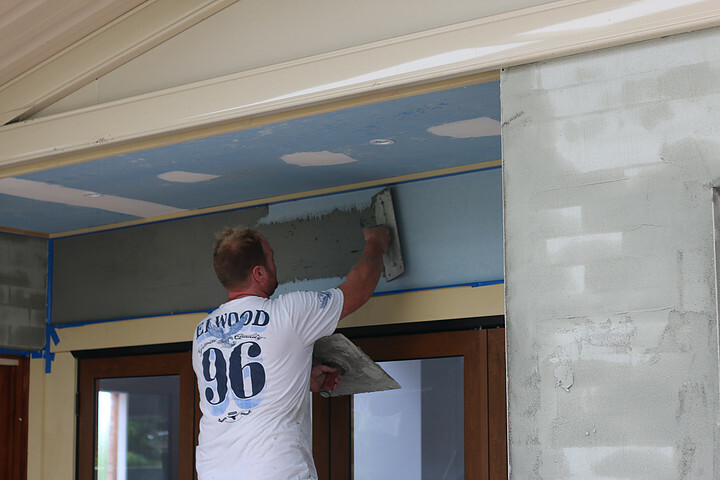 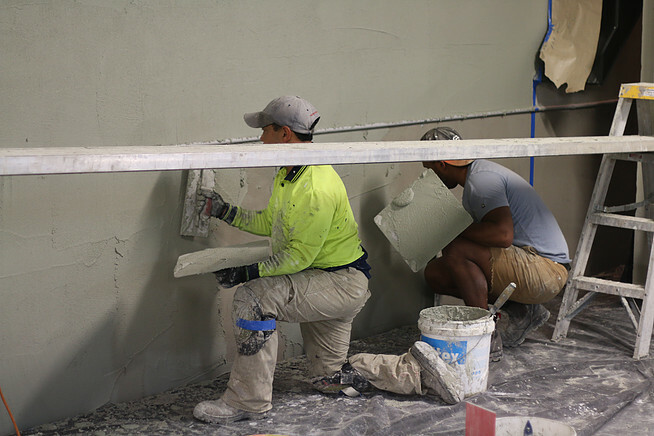 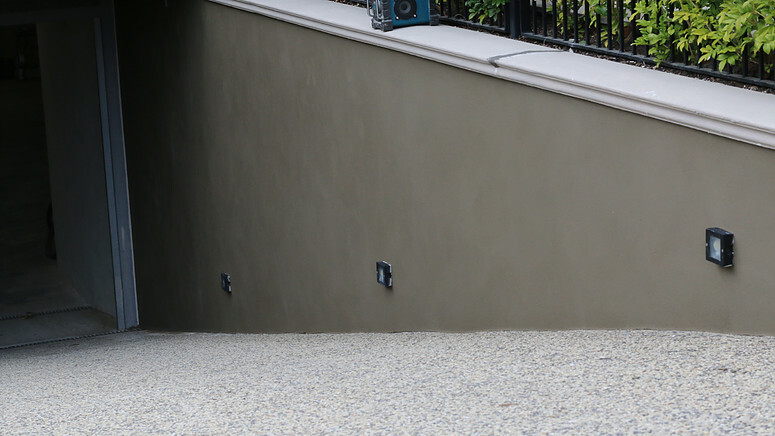 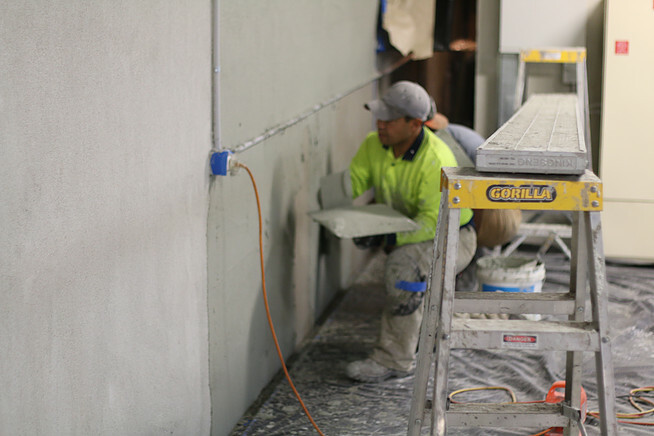 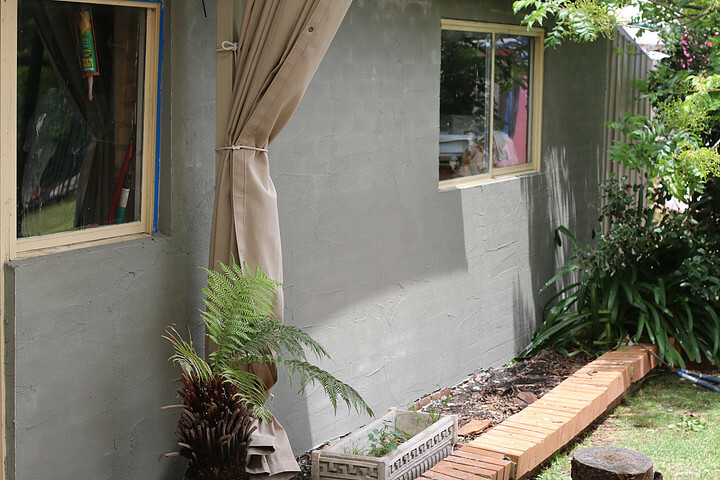 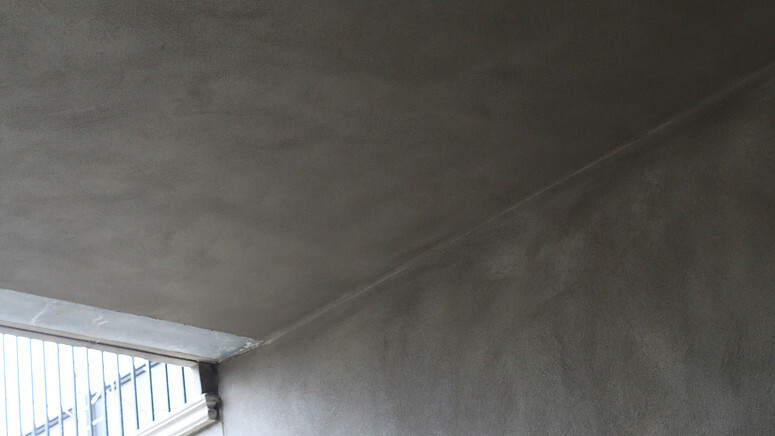 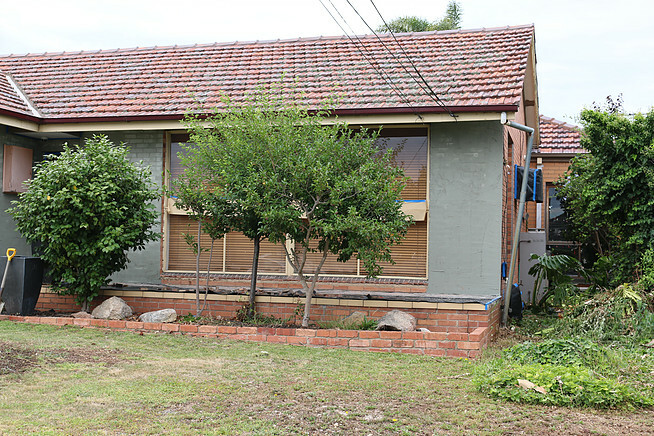 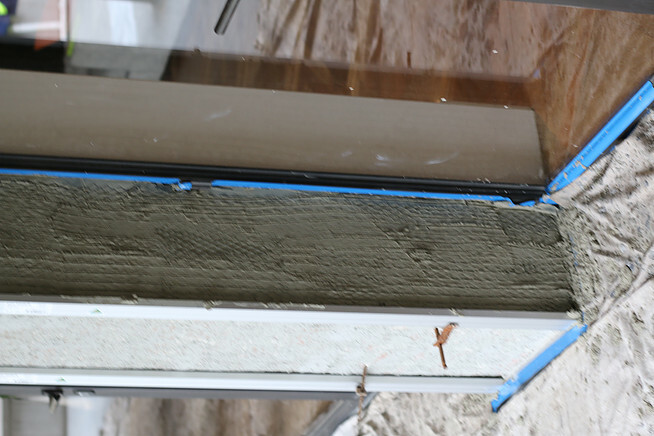 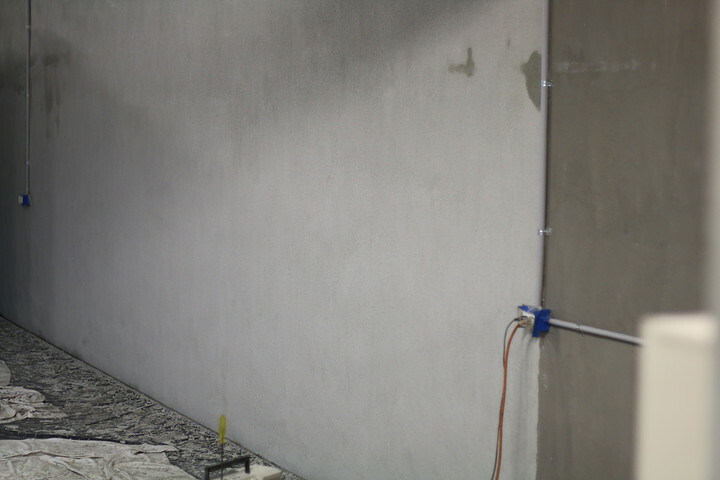 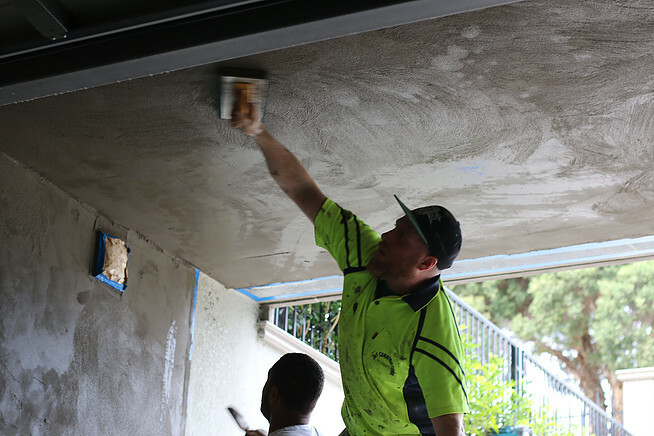 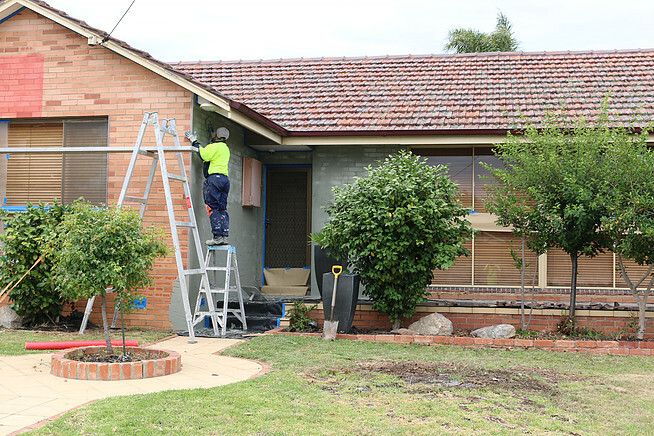 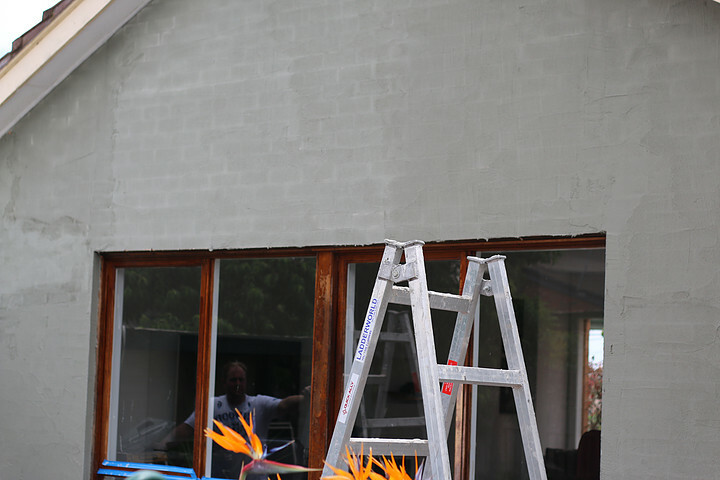 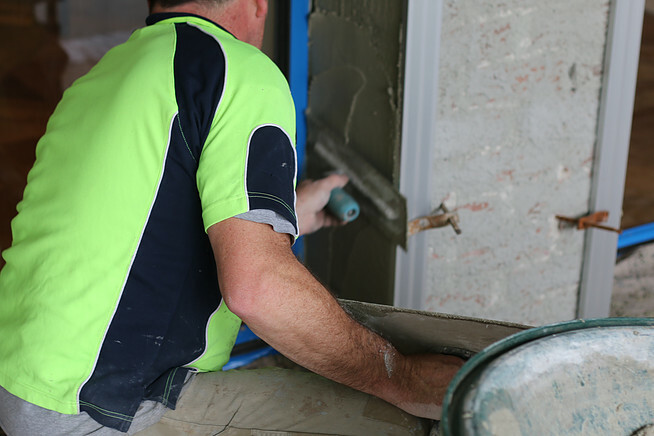 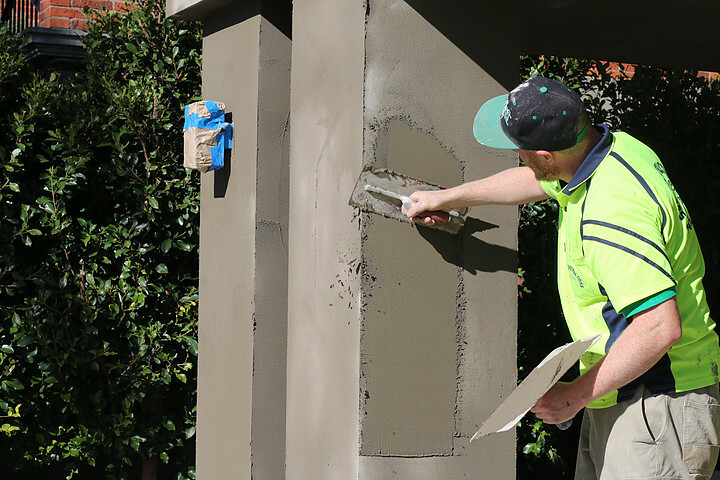 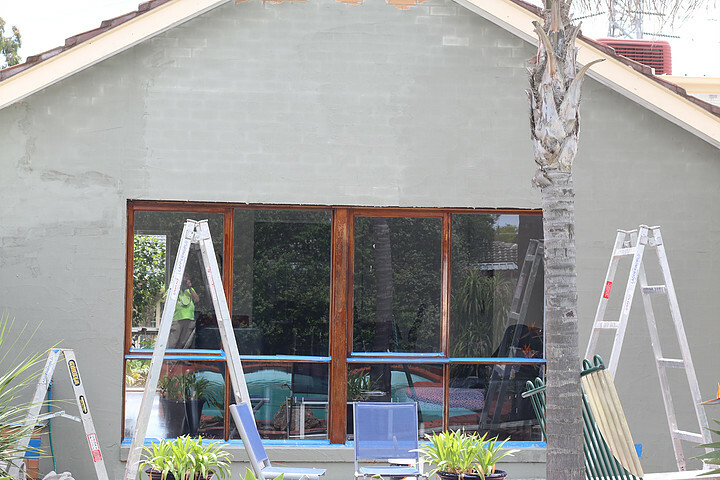 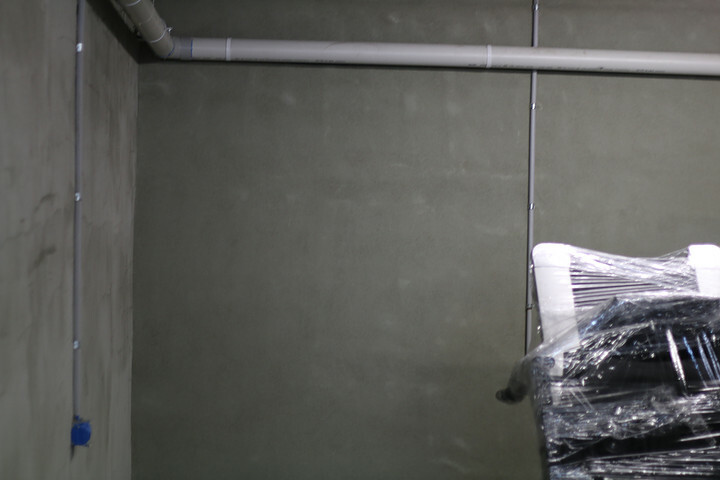 Primer is like undercoat that is applied before painting any walls on a house. 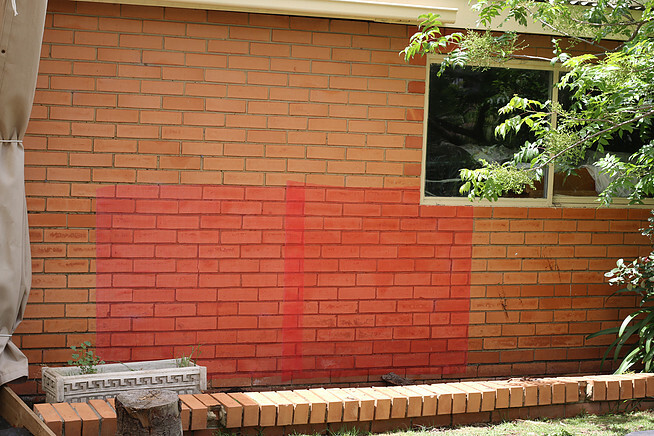 This should also be done on the exterior of the house. 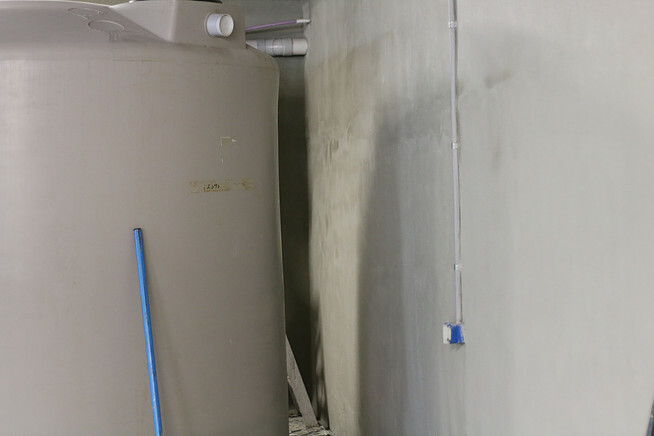 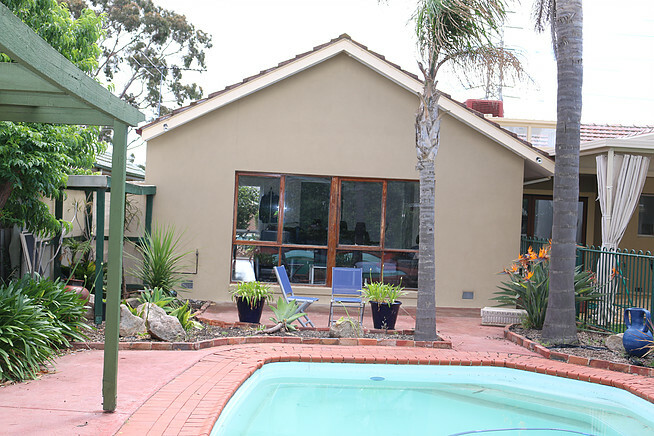 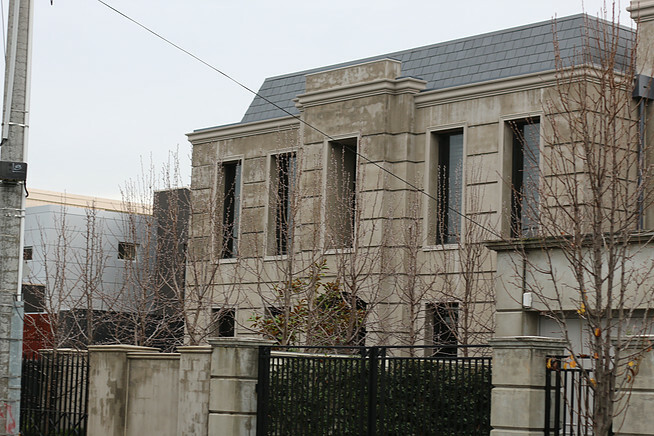 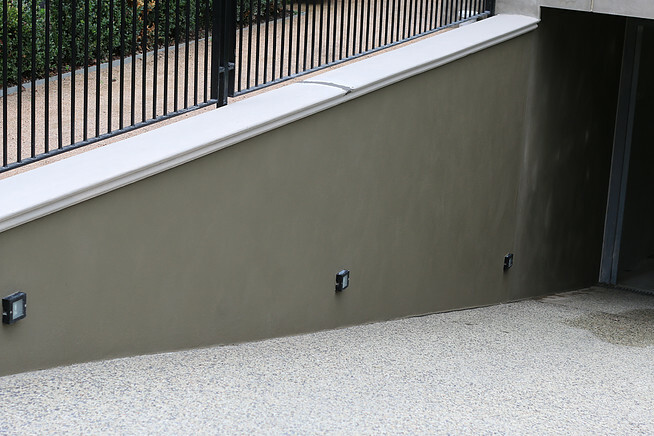 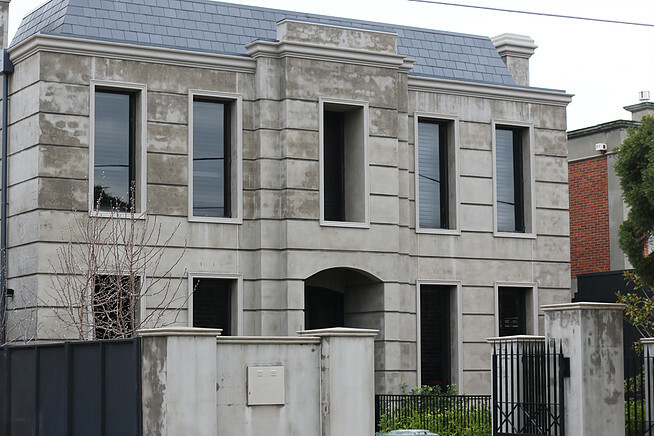 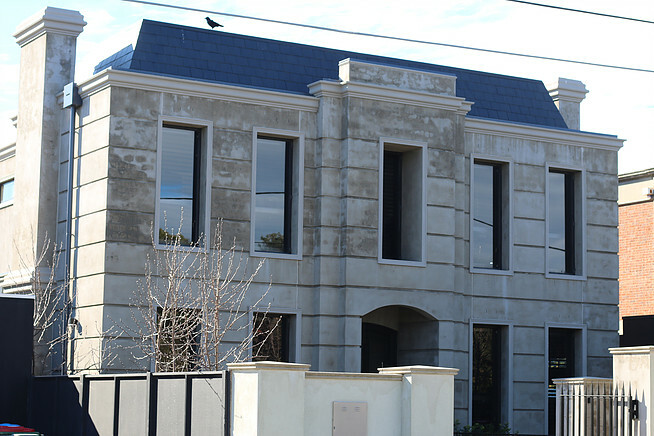 Owner then wanted basement and sides completed in Acrylic rendering with cement and water proofer added to the Acrylic.